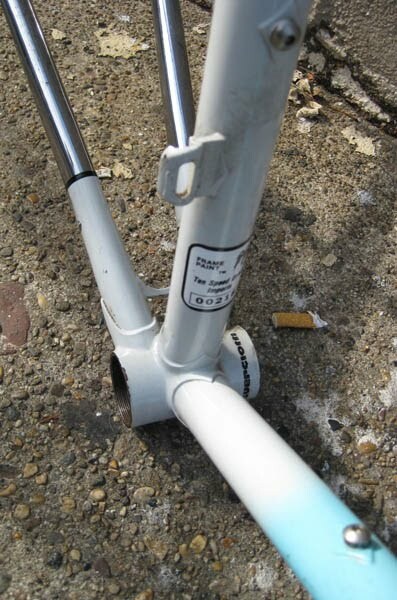 54cm seattube center to top. 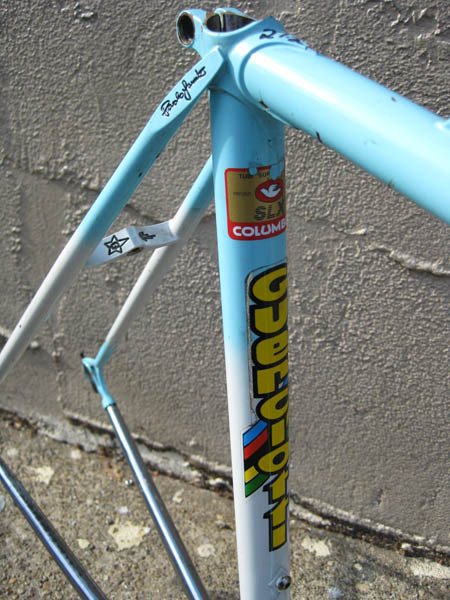 Guerciotti built with Columbus SLX tubing. In excellent condition, look at the pictures. Some chips and scratches here and there. keep in mind it is a bicycle not the Mona Lisa. 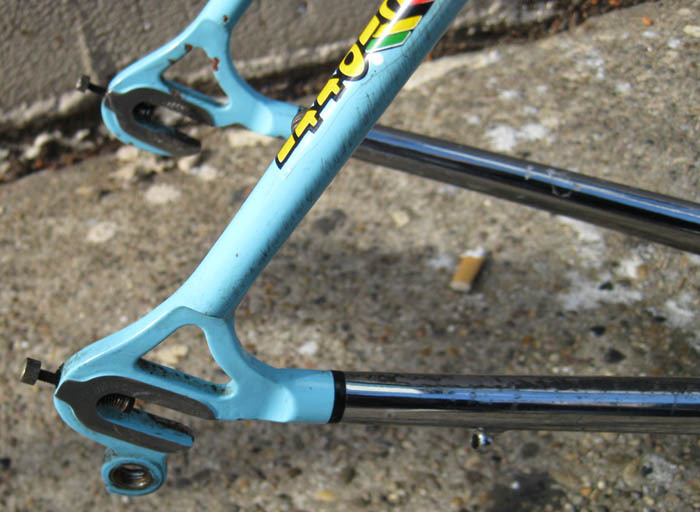 127mm rear spacing, for 6 or 7 speed gear setup. frame is straight. no dents or misalignment. No cracks or damage. I bought used and never did anything with it. 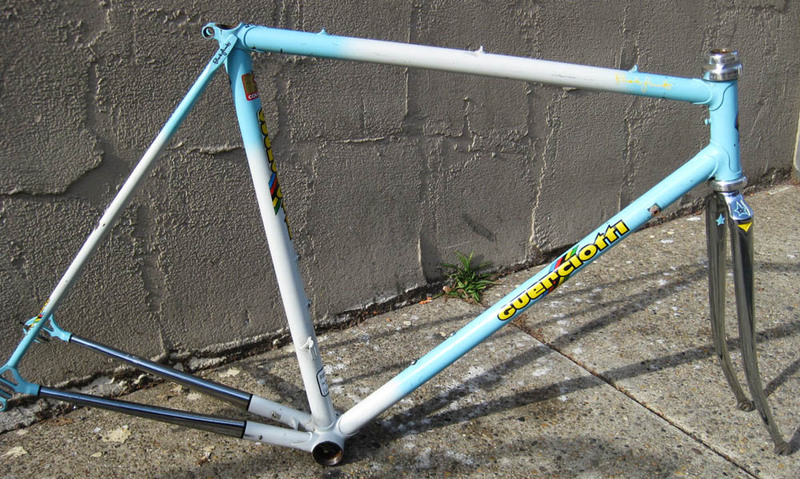 doesn’t look like it has too many miles as the paint condition is excellent. 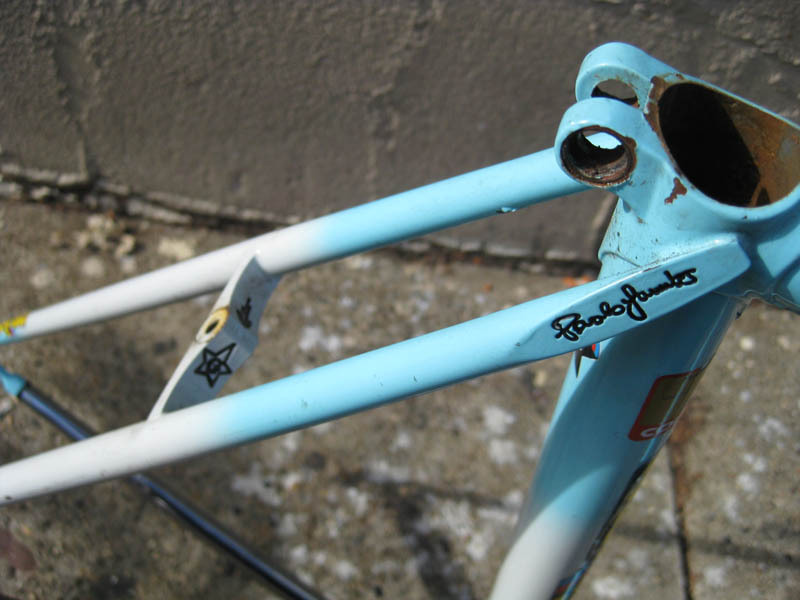 OK its not the Mona Lisa, but you are tapping into the real inspiration about this fine Italian bike. 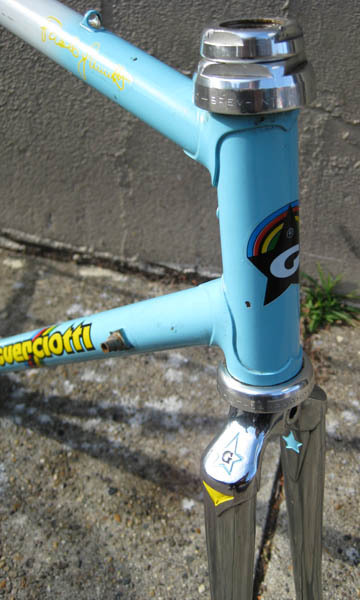 They, Guerciotti, are the closest thing to simple art and function. One 1800s Columbia for sale, One 1800s Columbia sold.